Integrity, knowledge and excellent service – these aren’t just words, they represent how InsulVail does business. Whatever your needs, you can trust us to offer high quality products and service. A variety of services – from commercial to residential insulation, InsulVail can help you improve your home’s or building’s energy efficiency and aesthetic. We install fiberglass, spray foam, cellulose and radiant barriers. 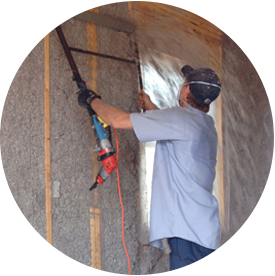 InsulVail is a full service insulation company with over 15 years of experience. 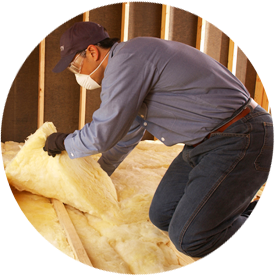 We offer polyurethane spray foam, fiberglass blow in systems, fiberglass batts, cellulose and radiant barrier insulation. We help architects, contractors and home owners select insulation systems that are appropriate for their projects. Our field crews are well trained in installation and safety. InsulVail, a part of the Installed Building Products Family of Companies, has been serving Eagle, Pitkin, Summit and Garfield counties since 1997. 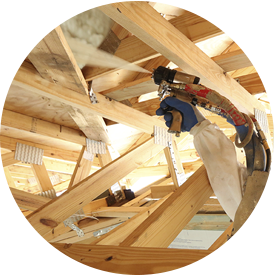 We install a variety of insulation products in new and existing homes and commercial projects, all with one goal in mind: providing a quality insulation system.